Our next Music Maker sessions will be held on Wednesday 1st May 1:30pm – 2:15pm and Wednesday 12th June 1:30pm – 2:15pm. Our Forest Tots sessions are on Friday mornings from 9:30am – 11am. The next few dates are Friday 10th May, Friday 7th June and Friday 5th July. Join Rugby Rascals at any time. Our sessions are run in 6 week blocks and run from 9:30am – 10:30am and 11am – 12pm on Saturday mornings. 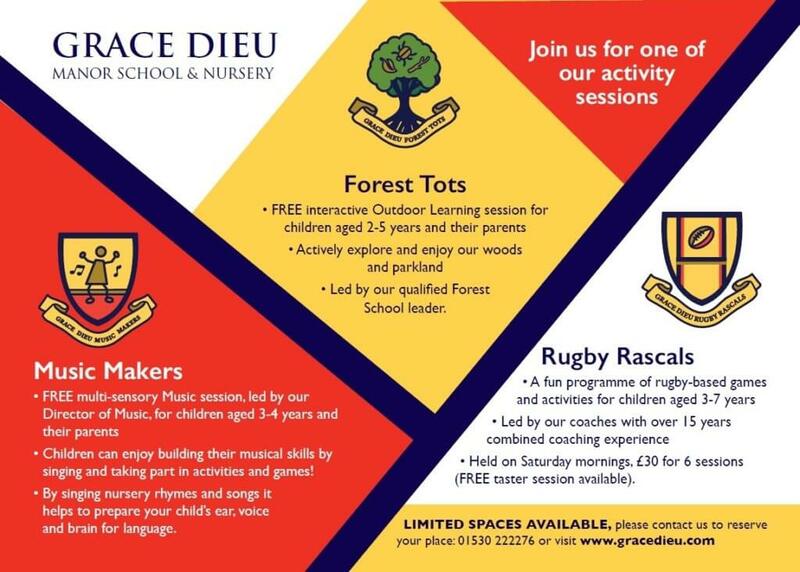 For more information, go to Rugby Rascals or contact rugbyrascals@gracedieu.com to reserve your place.